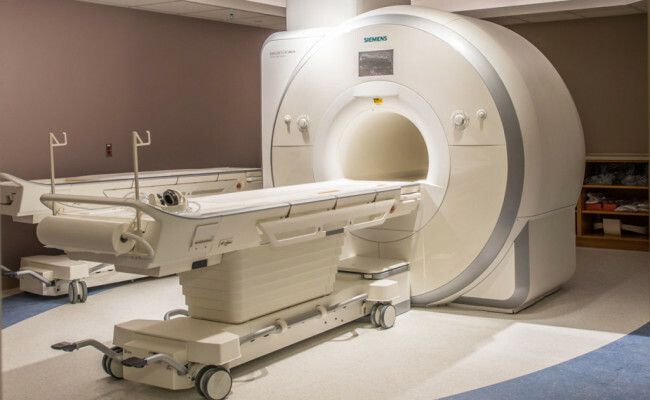 Replace 1.5T MRI - ERICKSON BUILDERS & CO. INC. Replace 1.5T MRI Department of Veteran Affairs Minneapolis VA Medical Center. 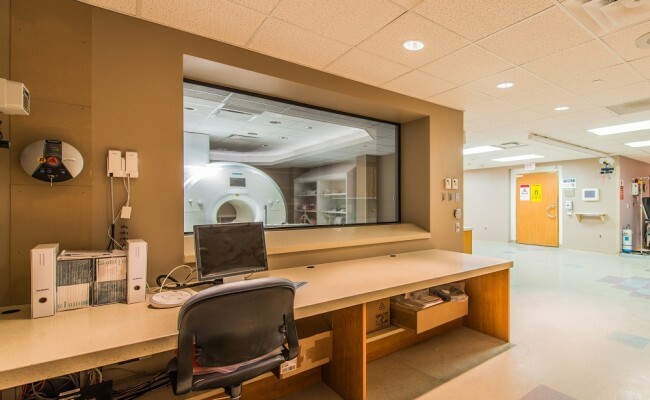 Erickson Builders provided the labor, materials and equipment to renovate the 1.5T MRI unit. 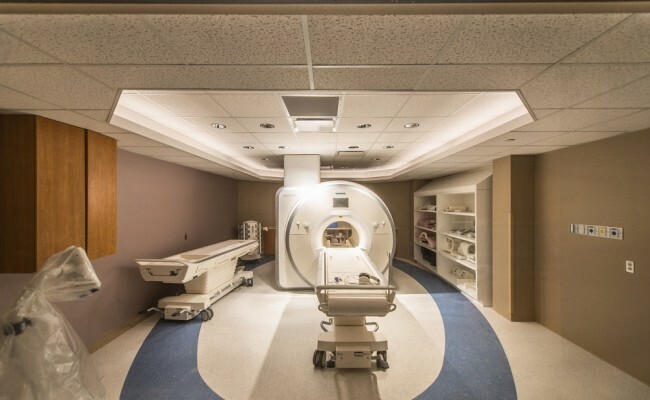 Erickson Builders completed this project for the Minneapolis VA Medical Center in a compressed schedule to minimize the downtime of the MRI unit. Erickson had to dig up and lift 4 panels weighing 4400 pounds each to access the underground MRI unit. The crew accomplished a difficult lift of the new fragile MRI unit into the underground MRI department with no incidents and on schedule. 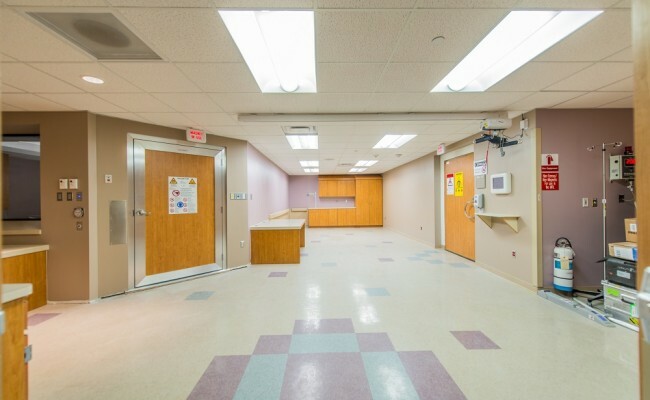 Items performed on this project included demolition of the existing space, installation of HVAC chiller, piping, connections to existing facility piping, ductwork, a complete electrical system, interior walls, cabinetry, and all finishes. This project included a complex RF shielding system to keep out disruptions out of the MRI bay that can affect the performance of the unit.